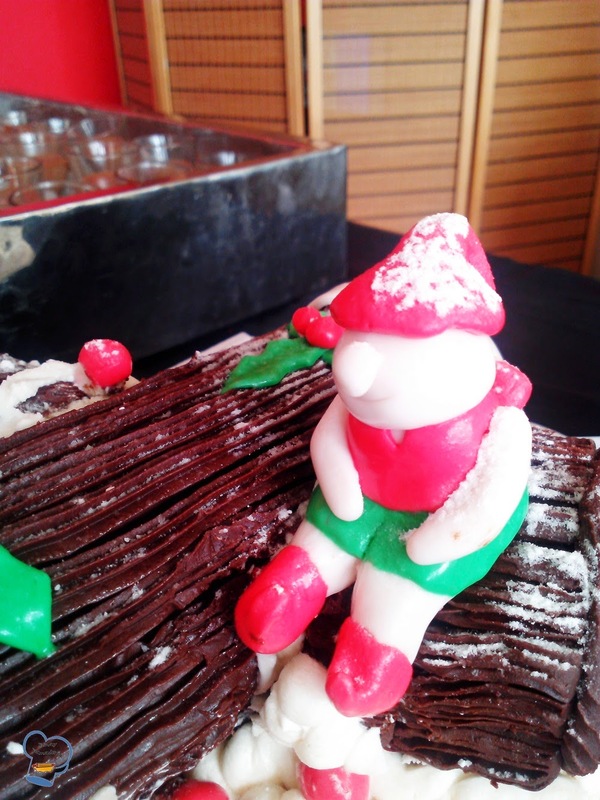 Desserts for the resort's Christmas brunch was same as last year. I was relieved knowing that I wouldn't go through the same painstaking process when I made the treats for the first time. This cake was a favorite at our Christmas brunch last year so they requested I made two extra logs this time, totaling to 8 logs. Doing my daily workload and the Christmas treats aint no easy. I could only get everything ready in time for Christmas if I start working on it early. I made the ganache a couple days early. 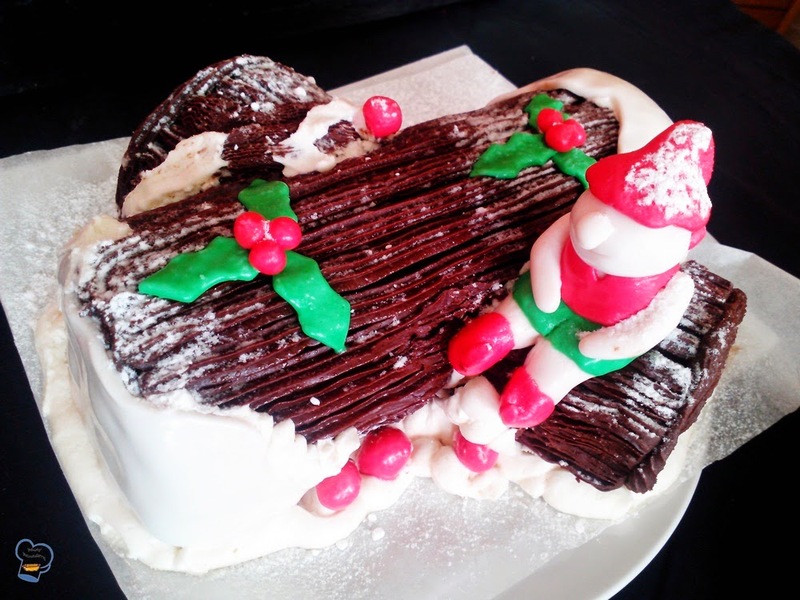 I baked the chocolate sponge cake a day before Christmas. 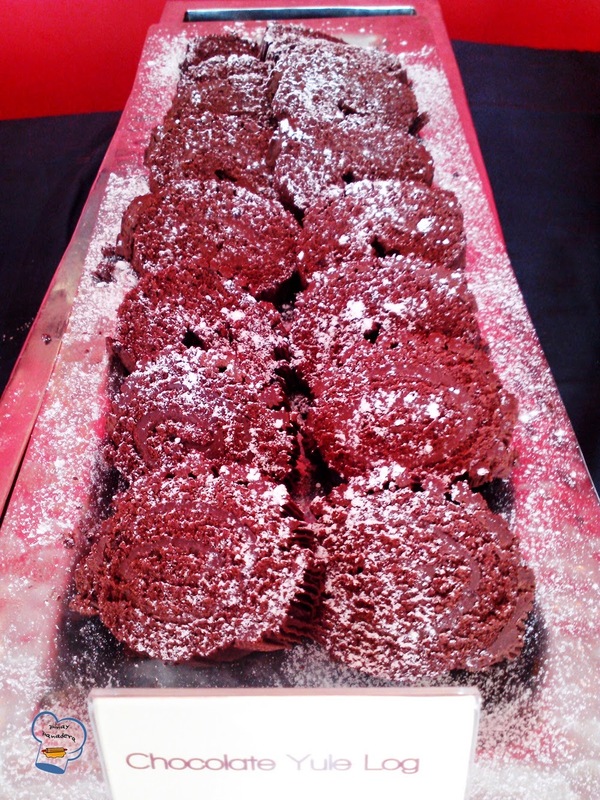 I spread the ganache, rolled up the logs and iced them the same day. I added the decorations right before serving. And just like last year, this cake was a winner! 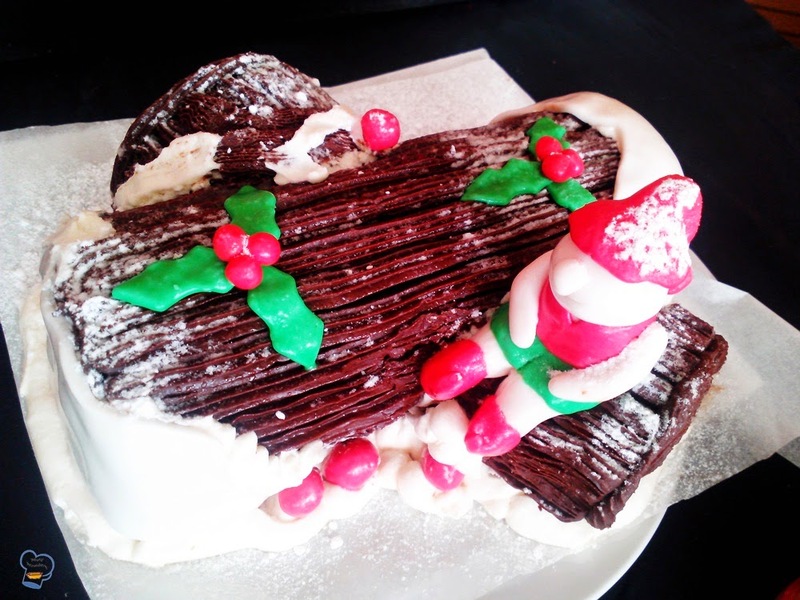 I gave the yule log an extra flair this time. I added elf and mushrooms made with fondant. The guests loved it! I also enhanced the log with an extra holly. I sprinkled icing sugar over the cake for the snow effect.